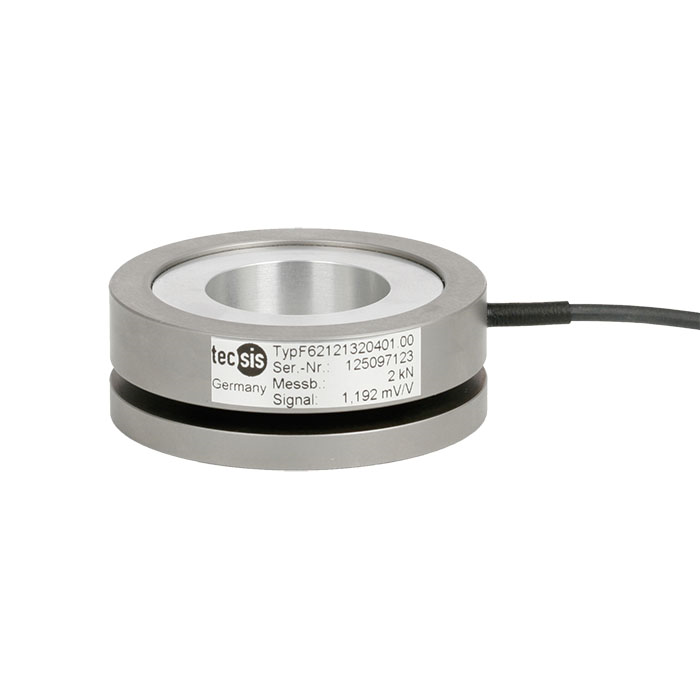 Ring force transducers are designed for static measurement tasks in the direct flux of force. They determine the tension and compression forces in a wide scope of applications. These force transducers are used in applications and test facilities with the need of a ring geometry with a big inner diameter. Typical tasks are force measurement in spindle drives or presses. The force to be measured must be applied axially rightangled of the force transducer and free of transverse force. Optionally, this ring force transducer is available on the upper and lower side with fastening threads. When mounting the force transducer, a flat, ground and hard surface should be ensured.